Have you visited your Delta Dental dentist in Calimesa within the last 12 months? If not, you are letting your dental coverage go unused. You pay your monthly premiums to benefit from affordable care to promote the health of your teeth and gums. However, if you are like most, you are not too sure how your policy works. As a result, you just skip your appointments because you do not want to deal with an unexpected bill. You can maximize your coverage to get the care you need while keeping your out-of-pocket costs to a minimum. To use your benefits to their full potential, choose a dentist who is in-network with your insurance company. This means they have pre-negotiated rates with them, allowing you to get the coverage you need for more affordable prices. Your dental insurance is designed to prevent complications from developing, which is why cleanings and checkups are often covered in full. By visiting your dentist every six months, you help to reduce your risk for dental issues, like tooth decay and gum disease. This keeps your long-term costs to a minimum by preventing the need for a costly or invasive procedure in the future. If you need to have a dental procedure, take advantage of your insurance company’s predetermination process. This allows your carrier to approve the treatment in advance, so you are not caught off guard by an unexpected bill. It is best to have any issues treated while they are still small because the procedure will be less expensive. While your policy can cover as much as 80% of these treatments, the longer you wait, the more you will have to pay out-of-pocket. All too often, people do not understand what their policy covers. Take the time to read your description of benefits to learn more about what treatments and procedures are covered. If you have any questions, your dentist can help you comprehend your benefits to ensure that you stay within their guidelines. Together, you and your dentist can create a plan to help you achieve optimal oral health. 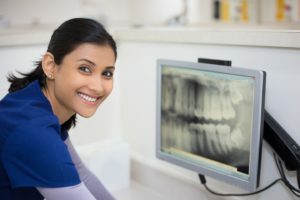 In addition to your home oral hygiene habits and regular dental appointments, this will also involve a step-by-step plan to help accommodate any predicted changes to your teeth and gums over the years. Your dental insurance provides the perfect opportunity to promote the health of your smile with regular care. You pay for your benefits each month, so do not let them go unused. Dr. Scott Parker is a trusted dentist in the area for complete, comprehensive care. With a commitment to deliver personalized services to reach your oral health goals, he works with your insurance company to keep your treatments affordable. If you need a Delta Dental or Cigna dentist in Calimesa, call Dr. Parker’s office today to schedule an appointment.